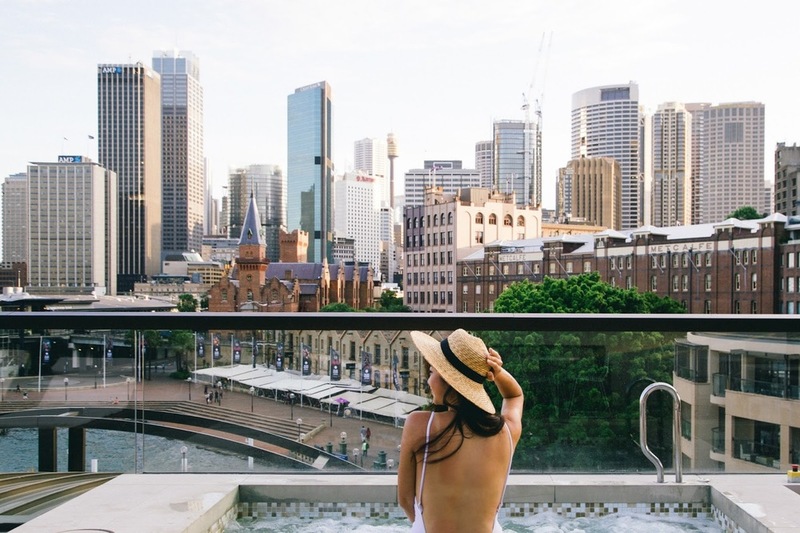 I was invited by Park Hyatt Sydney this weekend for a 2 day and 1 nights hotel stay and to share my Hyatt experience with all my followers and what an insane experience it was to say the least. Upon my arrival I was greeted by two charismatic gentlemen who went above and beyond to ensure that I was happy and comfortable during my stay. I was told by Nick, that I had received an upgrade and I was left feeling incredibly spoilt as I stepped into what I can only be describe as a presidentially sized room. As soon as my brother and I entered we were completely speechless. Known for it's insane views - one can never really anticipate or comprehend just how jaw-dropping the view is. No matter how much you anticipate it, you can't help but feel giddy when it actually materialises. The iconic Opera House, luxurious room as well as the rooftop pool were all major highlights of my stay. Going into the Park Hyatt Sydney I had relatively high expectations - but they were exceeded by far. I can't fault this hotel and can't commend the staff enough on making my stay such a memorable one. If you haven't been - this should definitely be on your bucket list. Complimentary Veuve Cliquot champagne and chocolate coated strawberries waiting in room.